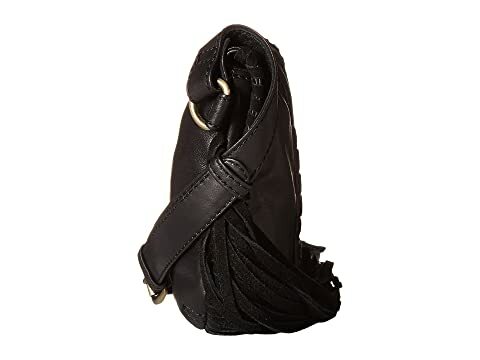 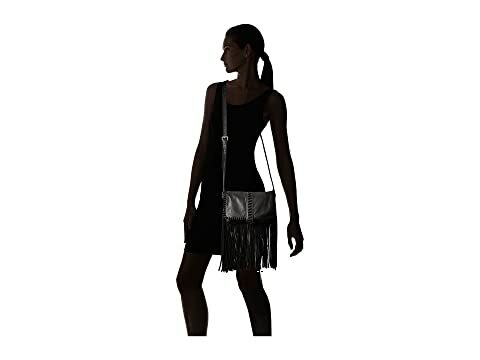 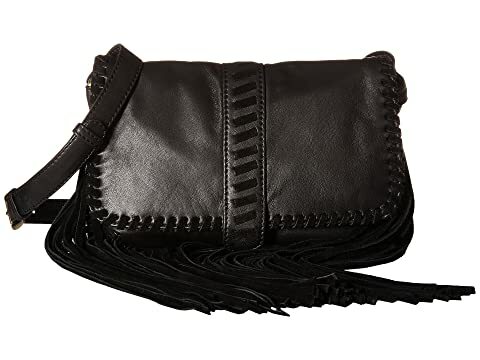 The beautiful Scully™ Mandy Soft Fringe Leather Handbag offers a sleek cowgirl style! 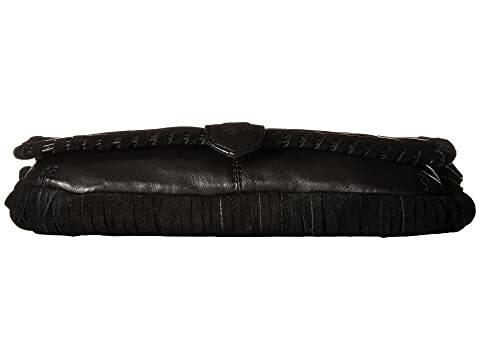 Leather and suede fringe with leather lacing detail. 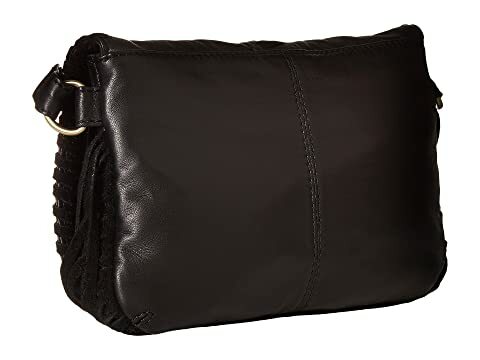 Main compartment holds your keys, wallet, phone, and a small cosmetic bag. 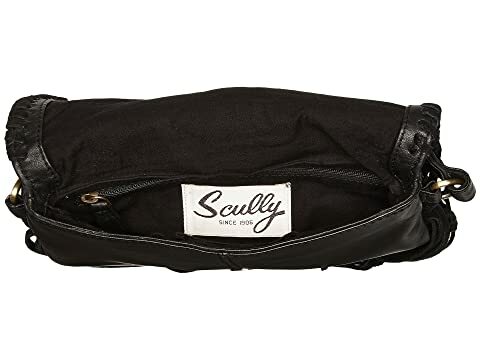 Interior fabric lining with back wall zip pocket and one open accessory pocket.